Hauck, V. 2017. Time to strengthen strategic partnerships for peace and security in Africa. ECDPM's Talking Points Blog, 13 November 2017. The central theme of the upcoming AU-EU Summit will be ‘youth’. While a detailed agenda for this event has not yet been published, there is little doubt that the two organisations will also talk about peace and security in Africa. This topic, that featured so prominently in the May 2017 EU Joint Communication, needs to be addressed as a priority. Here is why. Several African regions are heavily affected by crises. They run in a geopolitical triangle, from the Horn of Africa, including South Sudan, down to Central Africa (Democratic Republic of Congo and the Central African Republic in particular) up to the Sahel, with Mali and Niger being particularly affected. In the middle lies the Lake Chad region, that has attracted media attention because of Boko Haram’s terror. 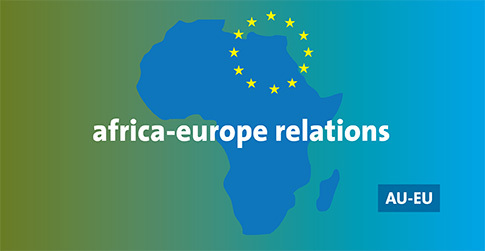 Is the partnership between the African Union and the European Union – Member States included – prepared and able to strategically address these crises over the next years? And how can they strengthen the collaboration with international partners, in particular with the United Nations (UN)? The Summit takes place in a context of considerable changes, globally and in Africa. The 15-year-old African Peace and Security Architecture (APSA), set up as a comprehensive peace framework to help govern African responses to violent conflict and crises, is in need of an update. 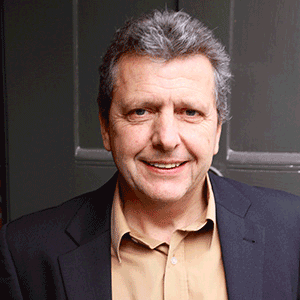 A lot has changed since its creation, both at continental as well as at the global level. These changes include the rise of new threats and challenges in Africa such as terrorist activities, large-scale human trafficking, and protracted violent conflicts. These new challenges have generated new responses on the continent, in particular the Multinational Joint Task Force (MNJTF) against Boko Haram, initiated by Nigeria, Niger, Chad, Cameroon and Benin, and the G5 Sahel Joint Force, with troops from Mali, Niger, Chad, Burkina Faso, Mauritania. Both initiatives have been authorised by the African Union but are not operating under one of the officially recognised Regional Economic Communities (RECs), the regional building blocks of the APSA. The skyrocketing costs for African Peace Support Operations (PSOs) – particularly for AMISOM in Somalia, which increased the EU’s contribution to this PSO from some €10 million in 2007 to nearly €300 million in 2015 – have painfully shown the African over-reliance on external sources. This realisation has contributed to creating a momentum for African self-financing of peace and security operations. In January 2015, AU Member States decided to finance 100% of the operations, 75% of the programmes and 25% of the PSO budget by 2020. Following proposals from the AU High Representative for the AU Peace Fund, AU Member States agreed in July 2016 that funding would be generated through a 0.2% levy on eligible imports. There are unofficial indications that some 20 African countries have already integrated this decision in their legislation, or are in the process of doing so. In a complementary process, African leaders adopted a radical institutional reform agenda at the January 2017 AU Summit. The agenda, developed under Rwanda’s President, Mr Kagame, urges to focus on priority areas – peace and security being one – and recommends a clearer division of labour between the AU and the RECs, in line with the AU’s principle of subsidiarity, which says that conflict response is best addressed by actors closest to the conflict. Despite these steps towards substantial change, the long-lasting violent conflicts in Africa, which are even worsening in countries such as the Central African Republic, suggest that there is still a long way to go to tackle these security issues. The recent truck bomb attack in Mogadishu, which killed at least 300 people, shows that progress towards peace in Somalia is extremely slow, in spite of initial signs of improvement over the past years. It is estimated that the 0.2% levy will generate €1 billion per year for the African Union. But achieving this target will be a challenge. Consultations with African actors across the continent revealed a broad consensus that peace and security will require a continued global-regional partnership in the foreseeable future. The UN and the EU are key partners for the AU. The UN is currently carrying out various peacekeeping and political missions, including in Mali, in the Central African Republic and Somalia. Also, since 2004, the EU has channelled over €2 billion in support of the APSA and of specific African-led peace operations through its African Peace Facility (APF), often clearing the way for UN action (as it is the case in Mali). It has also deployed various security capacity-building and military training missions across Africa. This all provides opportunities for a deepened collaboration between the AU, the EU and the UN. The Summit comes at a moment when discussions are building up within Europe about its future budget for external action and a possible reorganisation of its financing instruments. The time horizon is 2020, when not only the current EU budgetary framework, but also the Cotonou Partnership Agreement and its European Development Fund (EDF) – which finances the APF – will come to an end. There are serious questions about the continuation of the partnership between the EU and African, Caribbean and Pacific (ACP) countries. In the same time span, the announced departure of the UK from the EU will leave a 15% gap in the EDF or its successor instrument, and this will heavily impact the ability of the EU to support peace and security in Africa. The EU commitment to support African peace and security engagements in the future is clear. However, Europe is shifting its focus towards those countries that can be more instrumental in stemming irregular migration. This means that other conflict areas are getting out of sight. Early warning messages suggest a widening of conflicts in the Central African region, including Cameroon but also in the DRC, where the crisis is deepening. The withdrawal of 1,000 troops from AMISOM by the end of December 2017, recently announced by the AU, was long planned. The highly volatile situation in Somalia, however, might end up requiring once again a deployment of international troops in the near future, as is currently happening in Afghanistan and Iraq. The above picture suggests that the respective partners cannot deal with peace and security in Africa on their own. More collaboration between the AU, the EU and the UN is required, whether they like it or not. China and other emerging international partners, approached upon request of the past AU chairperson, also contributed to peace and security issues in Africa and will be welcome partners in the future. But their engagement has been overall disappointing in terms of the level of their financial support, transparency and willingness to coordinate efforts. The bill for the EU and its Member States will remain high for the foreseeable future and African states will need to turn their ambition for self-financing into reality. The UN too, faces several challenges, notably because the US has expressed doubts over its financial commitment to peacekeeping under the UN framework. This demands that the relationship and collaboration between the AU, the EU and the UN to become more strategic, more rational and more interest-based. While ties between the African Union and the UN on one side, and the African Union and European Union on the other, have been reinforced separately in the past in a positive yet parallel manner, it is now time to go a step further and, based on lessons learnt, intensify this tripartite arrangement, both at the institutional and at the operational level. The challenges ahead need to be managed in a way that encourages each organisation to chip in according to its own comparative advantage. The forthcoming Summit is the moment to advance this approach, for example by setting up a dedicated tripartite platform to explore more systematically when, where and how more joint collaboration on peace and security could be done. The author would like to thank Sophie Desmidt and Matthias Deneckere for their precious input. 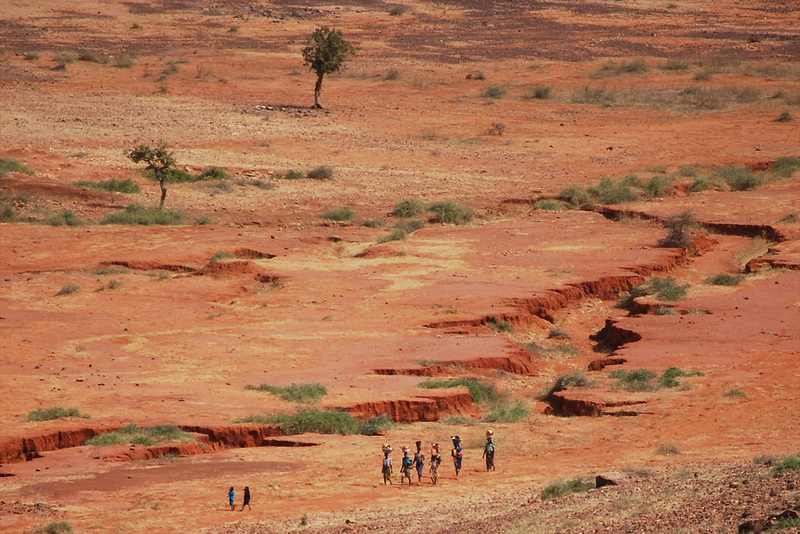 Photo courtesy of UNAMID via Flickr.